Kids love going on fishing adventures with their families Not only do they have time to bond with their families, but the built up key skills and might even pursue fishing as a hobby when they grow up. Hoever, fishing poles are generally too big for young kids, so you want to make sure that they are using fishing poles designed for them. There are a lot of kid’s fishing poles on the market to choose from so we’ve made it easier for you by evaluating the top 10 best kid’s fishing poles. One of the first things that you should do before purchasing kid fishing poles is to identify each of their salient features. By doing so, you will be guaranteed that you will be picking the best kid fishing poles that would work well when you kids will use them. Below are two of the features that should be placed in your criteria when picking the best kid fishing poles. 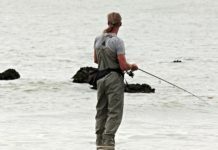 Usually, fishing poles are constructed using either of the three different materials: fiberglass, graphite, and bamboo. These materials affect the action and the power of the rod. Fiberglass is noted for being thicker and heavier due to its diameter. Graphite is famous for its sensitivity. Bamboo produces a smooth back cast. 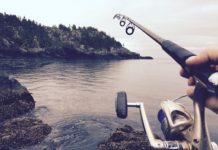 These are two essential factors that could help you determine the kind of kid fishing pole that you are going to purchase: pole action and pole power. Pole power refers to the weight of your gear while pole action refers to the control which your kid has over the fish. The features which were mentioned above are just some of the key features that you should take into consideration when picking the best kid fishing poles. It is worth noting that the end choice will still be dependent on your preference as the player. The first product on our list is the Sougayilang Fishing Rod Reel Combo for Kids. This fishing combo is lightweight and portable. It is collapsible, making it easy to store after fishing or during travels.The telescopic fishing rod pole of the combo has a sensitive graphite blank construction. Its stainless steel hooded reel seats make it bright because of its anti-seawater corrosion features. The rod also consists of an EVA fore grip for comfort. It is noted for its multiple lengths and actions. The Shakespeare Youth Fishing Kits is a fun fishing pole that your kids could use when on a trip to the lake. It has an updated design which features a round knob, a thumb button extension, and a finger guard. This lightweight fishing pole also has an EVA handle knob which provides comfort to your kids when handling it. Other features of this pole include an instant anti-reverse bearing and a machine ported and double anodized braid ready aluminum spool. You could choose its design from a wide array of colorful selections. The SYL Fishing 82-Inch Kids Fishing Pole is a lightweight yet durable fishing pole for beginners and kids. It is designed for kids four years and older, so you will not be bothered by its size. It is lightweight, plus it has a comfortable grip. This way, your kids will not be hard up in using this pole. The kit includes all the essential gears and tackles that you need. These would include bobbers, hard lure, boober stoppers, and hooks, among others. The Tight Lines Kids Fishing Pole Combo Set is a complete kit which includes everything your kids need to get started with fishing. 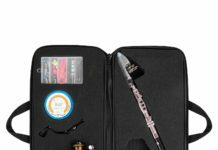 It consists of a 50-inch telescopic kids fishing pole, a spin cast reel, a tackle box which is fully equipped, a travel bag, and an interactive eBook. This fishing pole combo is easy to assemble because it has been designed with the youth in mind. This lightweight rod is able to collapse to 14 inches, making it easy to transport. 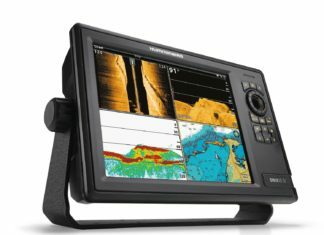 You could also choose the Shakespeare USYTHSC6CBO Ugly Stik GX2 Youth Fishing Rod and Spincast Reel Combo. This is a youth fishing rod and reel combo which is ideal for kids who are joining their family for fishing trips. Its fiberglass and graphite construction provides durability and sensitivity while ensuring that it is lightweight. Its Clear Tip design is able to deliver responsiveness and strength. In addition to this, the EVA grips of the rod have been designed for smaller hands. If you are after a portable kids fishing pole, you could opt for the SYL Fishing Pen Fishing Pole. This is noted as one of the smallest fishing rods in the world due to its pen design. Because of its lightweight and compact design, this pole could be stored easily. It comes in a full set which includes hooks, lures, weights, and swivels, among others. Your kids will surely enjoy using this small rod. The Kids Fishing Pole with Spincast Reel is a great fishing pole which your kids to use to learn more regarding the hobby. It is characterized by its smart size and comfortable grip, making it easy for children to handle it. Such fishing pole comes with a tackle box which consists of tools which are needed for fishing. These would include soft lures, rubber ends, hard lures, and jig heads, among others. The Kid Casters Fishing Kit is a 29.5-inch youth sized fishing rod with an eight-pound line, making it great to catch real fish. It consists of three sponge fish training lures which would instantly transform into large colorful sponge fishes after being cast into the water. These sponge fish cast could then be recast again. In addition to this, it also consists of a casting plug with a large hole for a simple clip-on attachment to the plastic hook. You could also opt for the YONGZHI Kids Fishing Pole with Spinning Reels if you are looking for a great fishing pole that you could use outdoors. The fishing pole has been designed to allow your children to experience the fun of fishing. The rod is built from carbon fiber which has been mixed with fiberglass, providing elasticity. Such rod is suitable for ponds, rivers, and streams. The spinning reel, on the other hand, has a changeable right and left handle. The final product on our list is the Multi Outools Kids Beginner Fishing Kit. The fishing pole is portable, lightweight, allowing kids to easily handle it. The fishing rod and reel combo could be packed into a fishing bag for convenient carrying. This fishing kit includes the telescopic fishing pole, a spinning cast reel, and portable fishing tackles. It could work well in both freshwater and saltwater environments. It should be noted that kid’s fishing poles are great equipment your kids could use when they go fishing. Choosing the best product would ensure that they will have an exciting experience. It is essential that you take into account each of the characteristics of the best kid fishing poles which were outline above.